Broome is a small resort town known for its pearls, beach, and relaxed vibe. The town itself has an incredible history that heavily influences its culture today, and its place at the brink of the Kimberley Region makes it an ideal launching point for countless Western Australian adventures. Consider picking up or dropping off a rental car in Darwin or Perth to suit your Broome road trip adventure. 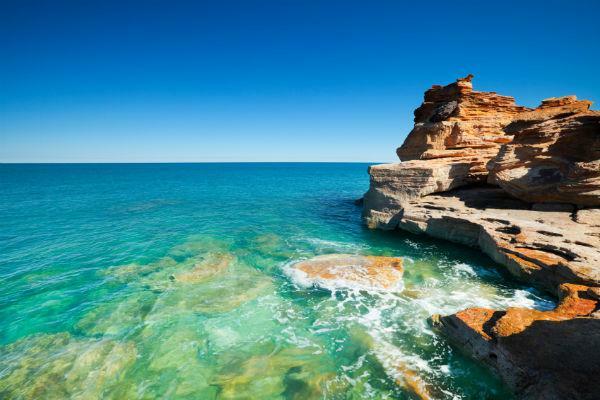 A town of just 15,000, Broome is known for its traffic-free roads and stress-free driving. In fact, it doesn’t even have traffic lights. However, if you venture out of town with your Broome car rental, be extra careful on the remote stretches of roads. It’s best to avoid driving at dawn and dusk in country areas, as this is when wildlife wander onto the roads. Also take note that unsealed roads can become undriveable in the wet season (officially between October and March). The Broome Airport is extremely close to town - just a kilometre away, which is only a few minutes by car. If you’re flying in and driving into the CBD, both Herbert Street and Coghlan Street will get you there - and back again. There is free short-term parking at the airport for up to two hours, and long term spots available for $14 per day. To park in town, find a spot in one of the several public parking areas. There’s really only one way to get the best deal on a car rental in Broome, and that’s by looking at every car available from every rental company in town. However, there are two ways to do that - either manually check with each company, or type in what you need at Airport Rentals and find your answers in seconds. Take your pick from top rental companies such as Thrifty, Budget, Europcar, Hertz, and Avis, and enjoy 24/7 customer service and zero booking fees from Airport Rentals. Broome International Airport is an award-winning facility that is known as the gateway to the Kimberley Region. There is a bar and cafe on site, as well as shops that operate based on flight times. You can also use the baggage storage facilities on site, take a quick shower, top up your cash at the ATMs, and relax in the Qantas lounge before your flight departure if you’re a Qantas Club member. Hop on a flight direct from the major centres of Melbourne or Sydney to make your way to Broome. Broome’s foodie scene is booming, and there’s one thing it’s known for more than anything else: seafood. Perched on the edge of the Indian Ocean, you’ll be spoiled for choice when it comes to the freshest of catches, as well as places to eat that look out over the water. The Wharf Restaurant is a favourite that ticks both options, but you can also enjoy the mix of seafood and international flavours at Japanese restaurant Zensai, or the Italian Club Restaurant. 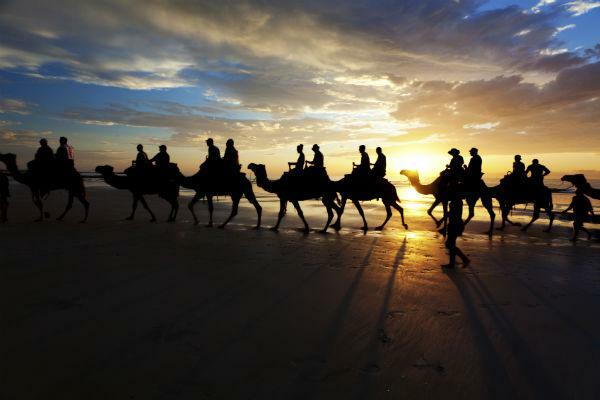 Broome’s history is heavily tied to the pearl trade, which attracted people from all over the world. Today, their descendants remain in town, making for a veritable melting pot of culture which creates a dynamic and exciting atmosphere. As Broome is quite small and far away from large cities, it also comes with a welcoming, small-town feel where everyone is just that much friendlier. 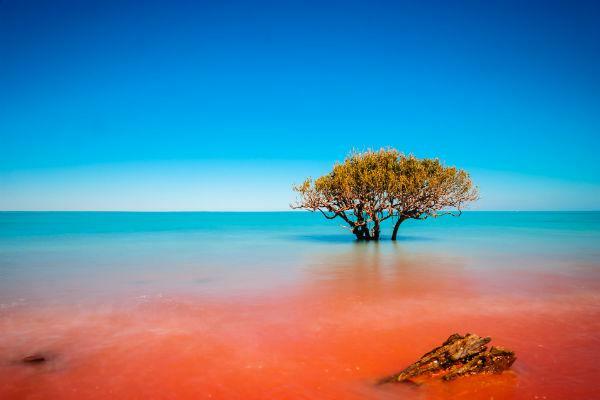 With a world-famous beach at its doorstep and the incredible Kimberley Region on the backstep, there’s a world of possibilities for attractions and things to do with your car rental in and around Broome. The Broome Bus Service departs every hour throughout the year, and every half hour during busy times from May to October. It stops near all major hotels, motels and attractions in town, and you can buy a day pass if you’re planning on taking several trips. A normal adult fare is $4 one way, or you can buy the day pass for $10. Broome’s weather is one of the many reasons why it’s such a popular spot. The wet season from November to April brings rain through the afternoon and evening, although it’s still usually warm at 25-30 degrees Celsius. Most people will visit during the dry season of May to October, when the weather turns balmy and delightful at 17-30 degrees Celsius. Nights are cool and there is little rain, which is why June to August are typically the busiest months of the year.